I’ve been cooking, I’ve been hiking, I’ve been working…a lot, I’ve been making clay pots, and I’ve been traveling some. And then suddenly, it’s NOVEMBER!!! 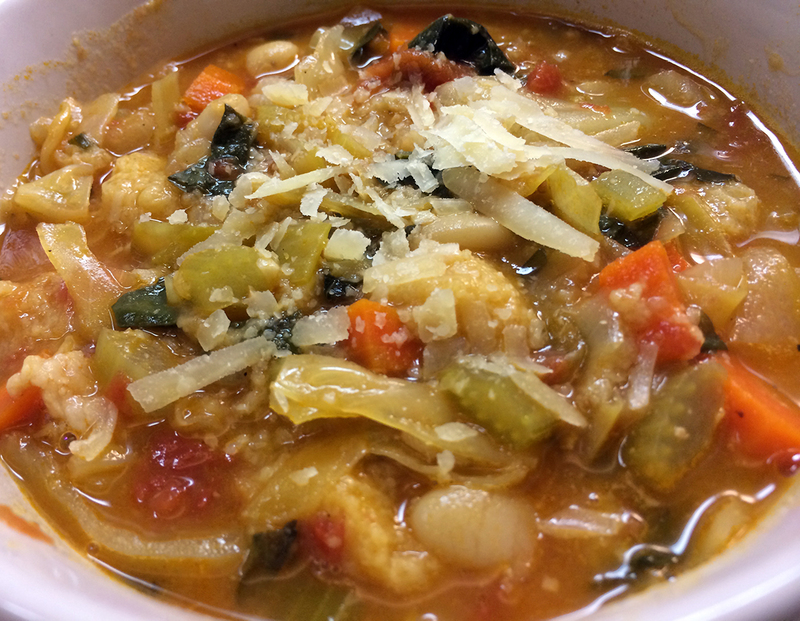 There was a batch Ina Garten’s fantastic Ribolitta pictured above, to warm up the cold evenings. There was a lovely hike to Raven Cliffs Falls in the North GA mountains. Spectacular leaves that weekend. 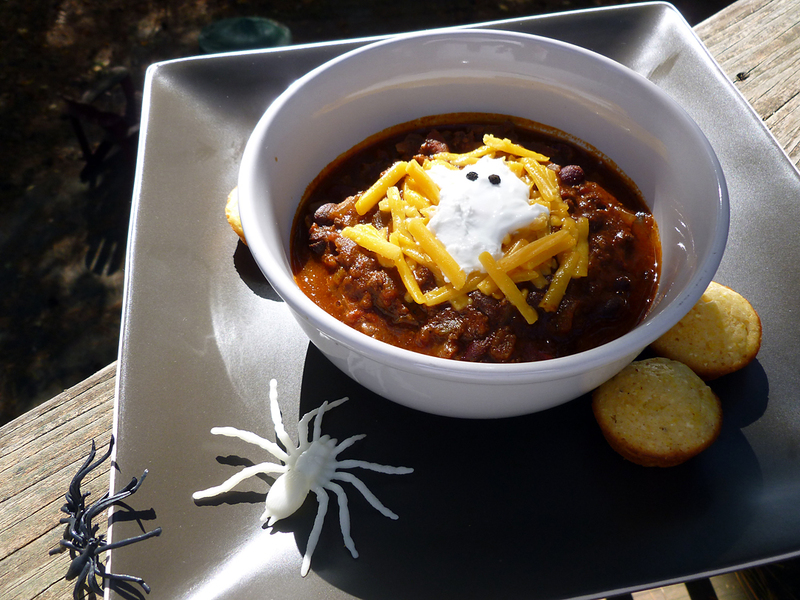 There was some Spooktacular Beef and Italian Sausage Chili made for Halloween! And Punkitties were carved for the big event! There was a lovely gathering of cousins in town that called for an early batch of my most favorite gratin and holiday potato dish, Potato and Fennel Gratin. It takes a little effort, but the flavor is show stopping. And this week I’ve been carving some clay pots for a friend’s new lifestyle website…more on that later. And then there was work…happily lots and lots of it! So that’s what I’ve been up to. How about you? Are you having a fun autumn so far? Happy Weekend! Tomorrow marks the end of October, and at long last we have completed all of the work on the house—no trick! Yesterday, our heating and air systems were professionally cleaned, which resulted in two filters worth of soot and grime pulled from the systems by a huge and very loud industrial strength Hepa Filter machine. We are literally breathing easier around here now, and should have all put right and in its place soon…say, around Christmas! But for now, it’s time to move on and enjoy one of my favorite holidays. You know it—it’s Halloween. 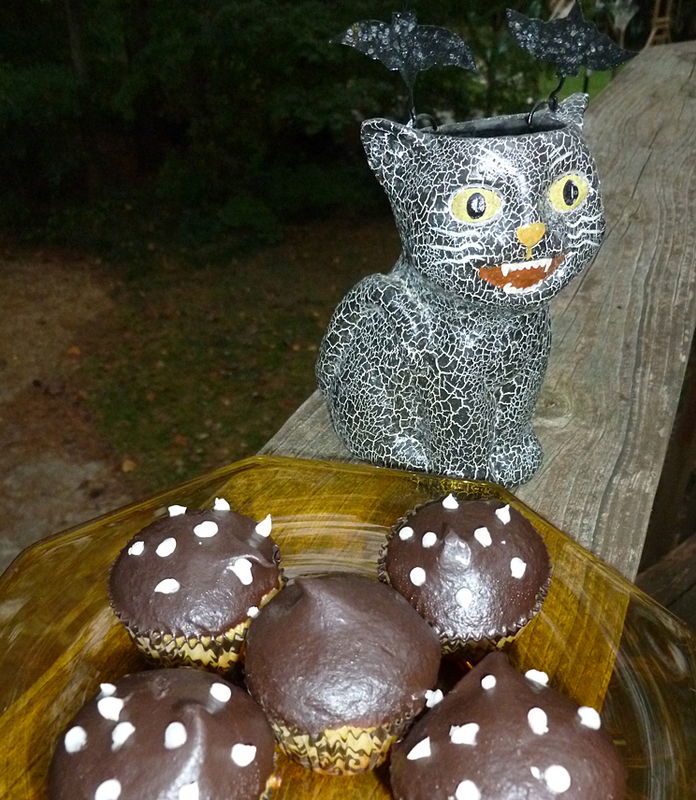 These hauntingly good little mini cupcakes have been my go-to standard for many a party and birthday event, and they seem very appropriate and timely as a Halloween treat to share with you. The cake itself is a light and moist pale yellow cake with pretty flecks of orange zest. And that hint of that orange flavor is a perfect foil for the deep, dark chocolate ganache frosting. Orange, black and white = Halloween…see? I made these last weekend to take to a “significant decade” birthday party for a friend, and I think they would be the hit of any Halloween party, too. Did I hear you say that you need a little something to warm you up before trick or treating? 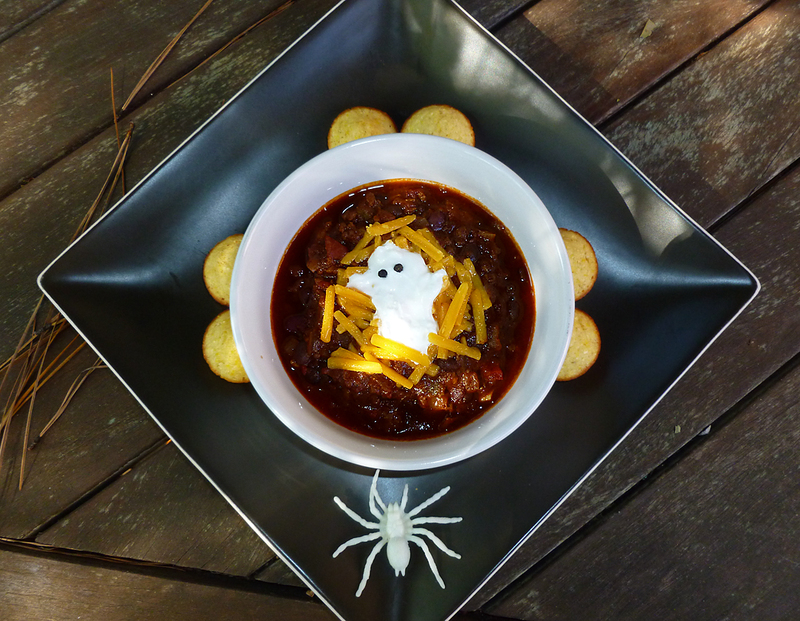 Check out my Spooktacular Beef and Italian Sausage Chili recipe from last year. Make a pot of chili and these mini cupcakes, and let the party begin. Preheat the oven to 350 degrees F. Lightly butter your muffin tin(s) and line with one mini muffin paper cup per slot, if using, or lightly flour the tins if not using paper baking cups, tapping out any excess flour. Sift together the 2 cups of flour, baking powder and salt into a bowl. In a mixing bowl, beat the sugar, butter and orange zest together with an electric mixer (fitted with a whisk attachment if using a stand mixer) on medium high speed until the mixture is light and fluffy, about 3 minutes. Beat in the eggs, one at a time, then add the vanilla and continue to beat for another 3-5 minutes, until the mixture is thoroughly blended. Reduce the speed to low, and add the flour mixture and milk alternating in 3 batches, beginning and ending with the flour. Mix until the batter is just smooth, do not over mix. Drop batter by teaspoonfuls into each of the 48 mini muffin tins lined with baking cups, filling each cup about 1/2- 3/4 full. Bake for 13-15 minutes until the cakes begin to pull away from the sides of the tin and a toothpick inserted into the middle of one comes out clean. The cakes should stay pale in color, not golden brown. Remove from the oven and allow the cakes to cool for 5 minutes in the tins and set on a wire rack. After 5 minutes, remove the cupcakes from the tin and allow them to finish cooling completely on the wire rack before frosting. Place the chocolate in a heat proof bowl. Heat the cream in a small saucepan over low heat, bringing it to a simmer. Remove the pan from the heat and pour the hot cream over the chocolate, whisking until smooth. Allow the ganache to cool slightly, about 3-5 minutes at room temperature. Take each mini-cupcake and dip the top of the cupcake into the ganache just to the edge of the paper cup, or just to the edge of the dome of the cake. Turn the cupcake a little bit to cover the top well, lift it out of the chocolate and allow it to drip a moment, then place back on the rack to firm up. Repeat with the remaining cupcakes until all are frosted. Allow the cupcakes to sit at room temperature until the ganache firms up, about an hour or so. You can enjoy these now, or they will keep at room temperature for a day, or carefully stored in the refrigerator for up to two days. You can also decorate them if you please with purchased decorating icing, or make your own very quickly (as I did) combining a tablespoon of softened butter, a cup of powdered sugar, two or three drops of vanilla extract and just enough milk mixed together to make a smooth icing consistency. If you plan to color the icing, do so now. Place the icing in a piping bag with a tip, or into a plastic bag and cut off the very tip of it, then slowly squeeze out the icing to decorate your cupcakes in the desired pattern. I’ve used a person’s initials, spelled out greetings and made patterns. I didn’t make spooky spiderwebs on these because they were for a birthday event, but the shape of these certainly lends itself to that. Note: Leftover ganache is a wonderful thing! You can store it in the fridge until solid, scoop out balls of it with a melon scoop and mold quickly with your fingertips into truffles, then roll in powdered cocoa or nuts to give as gifts. You can also reheat it slow and low until just liquid again and use it as a sauce for ice cream, berries or cake. Be careful in reheating because if allowed to simmer it will break the cream and you’ll have a chocolate mess! 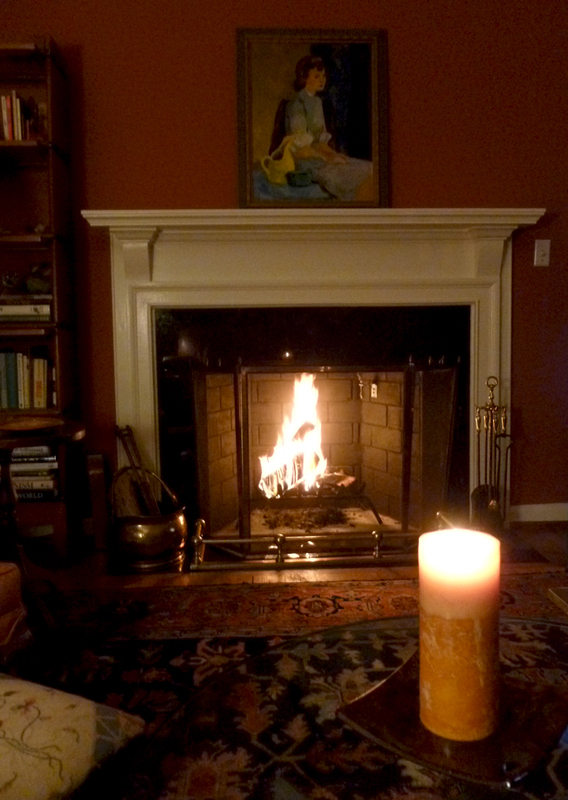 Our first fire in the newly rebuilt fireplace and chimney…home sweet home! 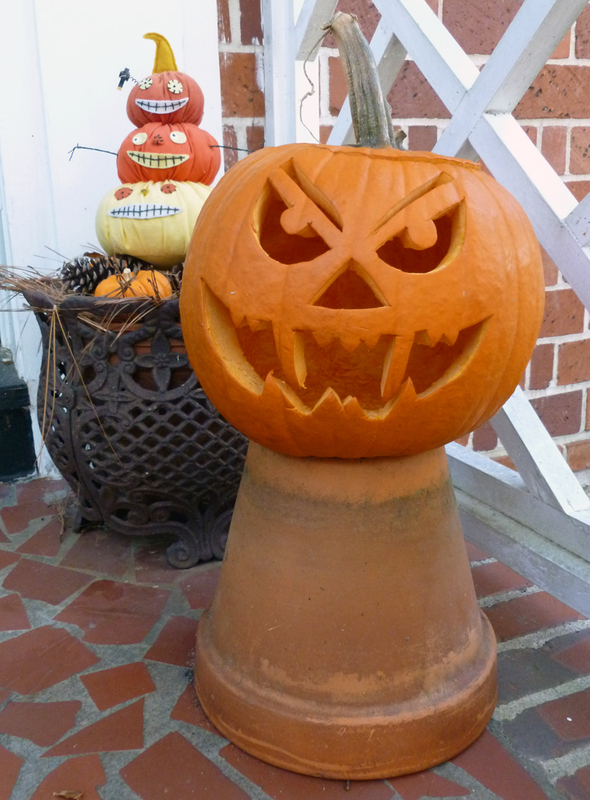 It’s cool and blustery in the south, the pumpkin is carved and it’s looking very Halloweeny around here, indeed. And for me, Halloween and trick or treating always means having some spicy and spooky chili on hand to enjoy while treating the kids. It’s a busy day, so I’ll keep this short and sweet…this chili is out of this world, muaaahaaahaaahaaa! Some wonderful moments from one of my all time favorite “scary” movies! As you may already know, I’m a chili-hound and this one is my new favorite chili. For a fantastic non-beef chili you can see my Holy Mole Turkey Chili right here. Or for a vegan chili, check out this Vegetarian Black Bean Chili right here. 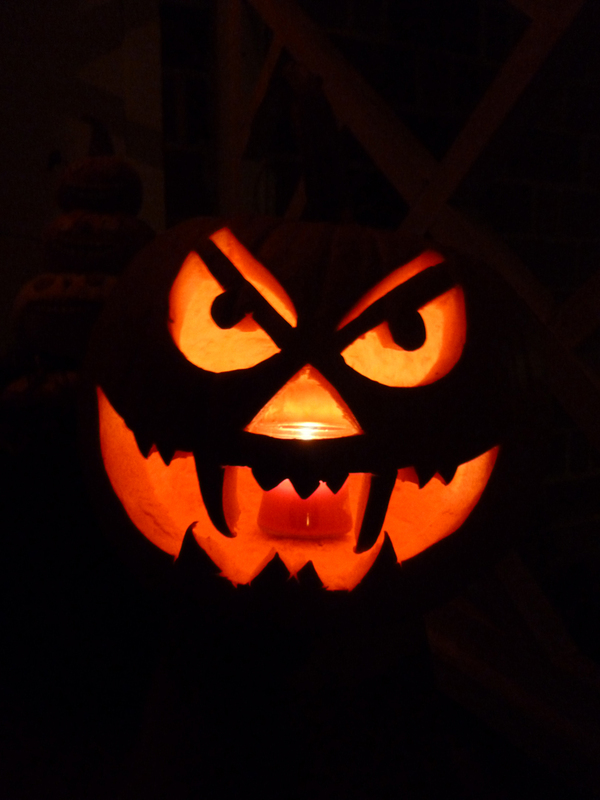 Have a safe and Happy Halloween, y’all! A quick note to send wishes for a speedy recovery to all of my readers and their families who have or are suffering from the hurricane in the northeastern U.S. and Canada. I hope you and yours are well and safe. Brown the ground beef in a large, heavy bottomed stock pot over medium to medium high heat. Drain the beef with a slotted spoon and place in a bowl. Set aside. Pour the fat and water out of the stock pot, and brown the sausage over medium to medium high heat. Remove the sausage from the pot with a slotted spoon and set aside, reserving the fat from the sausage. Add the olive oil to the pot with the sausage drippings and heat over medium high heat. Add the onions, bell peppers, garlic and chipotes to the pot, and cook, stirring occasionally, until the vegetables are soft and the onions are translucent. Add the bay leaves, chili powder, ancho chili powder, cumin, basil, oregano, black pepper, chinese five spice powder, dried red pepper flakes and kosher salt to the pot, and stir for about 1-2 minutes to cook the spices…don’t allow them to burn, keep them moving! Add the tomatoes, water, wine, beans, beef and sausage to the pot and stir well, then add the chocolate chips. Bring the chili to a boil, then reduce the heat to a simmer and cook for about 30-45 minutes, or until the chili is thick and all the flavors have blended. Fish out the bay leaves and throw them away. Serve with grated extra sharp cheddar cheese, or your favorite toppings and a little cornbread on the side. 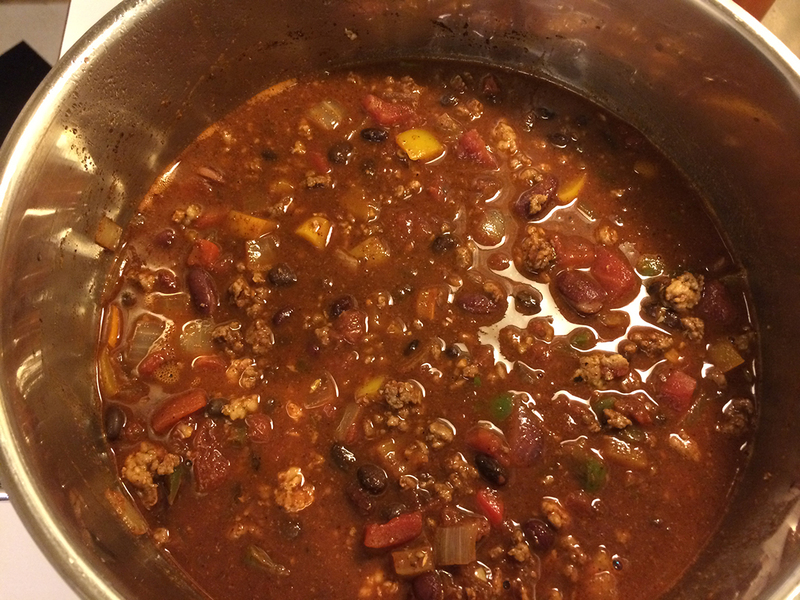 As with all chili, this is even better the next day, and it freezes well!